I always enjoy heading out on a pub run. I mean, what's not to enjoy. Going for a run, which I'm going to do anyway, with a free beer at the end. Throw in a pair of shoes to try out, and I'm always down. 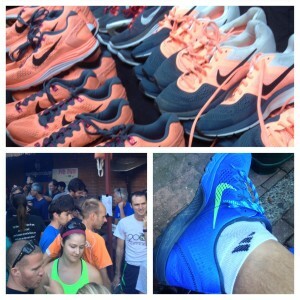 Last night's pub run with Running Warehouse was hosted by Michael Marquez and the Creeky Tiki (Huge thanks!) with Nike bringing the shoes.